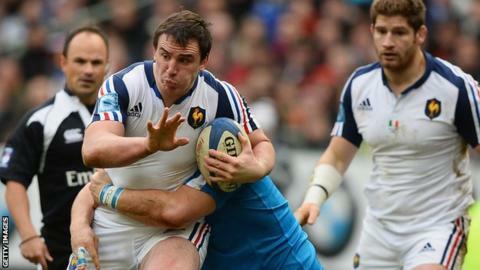 France will break with tradition and wear a new red change shirt for their opening Six Nations match. Les Bleus will become Les Rouges against Scotland at Stade de France on Saturday rather than wearing their usual second choice of white. When they last wore red for two Tests in 1958 and 1959, France won both matches against Australia and Scotland. "It is one of the colours of our flag," Adidas spokesman Emmanuelle Gaye told French daily Le Figaro. Centre Wesley Fofana was pictured wearing the shirt with blue shorts and red socks on Thursday. "I immediately thought we would be privileged to play with this shirt," Fofana told Le Figaro.